I must admit that summer is my least productive time. Generally it is very hot here in York with temperatures over 40℃ (104℉) and this I feel is not really conducive to any form of artistic inclination. Endless blue skies and the intensity of the sunlight also make for boring photos. So my attentions wander to the studio and I play around with still life, this way I’m in air-conditioned comfort and I’m still able to take photos. I happen to believe that like many activities if you don’t keep practicing your skills will diminish. Still life is a very interesting genre as it forces us to make a photo rather than take a photo as you are in control of everything. Composition and lighting is everything in photography and I think the skills learnt with still life transfer to other genres. You don’t need anything elaborate to do this. I tend to work on the kitchen table. Backdrops are made from old sheets, some of which I have painted, that are suspended by ‘A’ clamps from the exposed beams in the ceiling. Unfortunately my kitchen is not orientated to make the best of available light and the windows are very small so I rely on artificial light sources namely flash. I already had a couple of speedlites in my camera kit so it made sense to use them as the light source. I raided E-Bay for stands and light modifiers as I didn’t want to drop a bundle. For $70 AUD I got a couple of light stands, 2 shoot through umbrellas and I made my reflectors from off cuts of mounting board. Behind the scenes shot of the set up for the shot “Potted Feathers” showing the lighting. Subject matter is usually anything to hand. Found objects, knick knacks, fruit, vegetables, tools, books anything can be used. It’s a case of once you’ve found something thing about how you’re going to light it so as to bring out it’s character. You could explore the various traditions of still life and use your compositions as allegories to tell stories or illustrate issues that are relevant to you. I find it really engrossing and time passes really quickly as I play around with the composition and lighting. As I said previously I primarily work on the kitchen table shooting small stuff. For anything that is potentially messy I move out to the shed. But if you have the room you could create really large tableaux. For some inspiration a mate of mine, Jules, has fashioned a series of travel photos that look like late 19th Century postcards from Indochina. He drew his inspiration from David Levinthal who has established a whole fine arts practice from this. 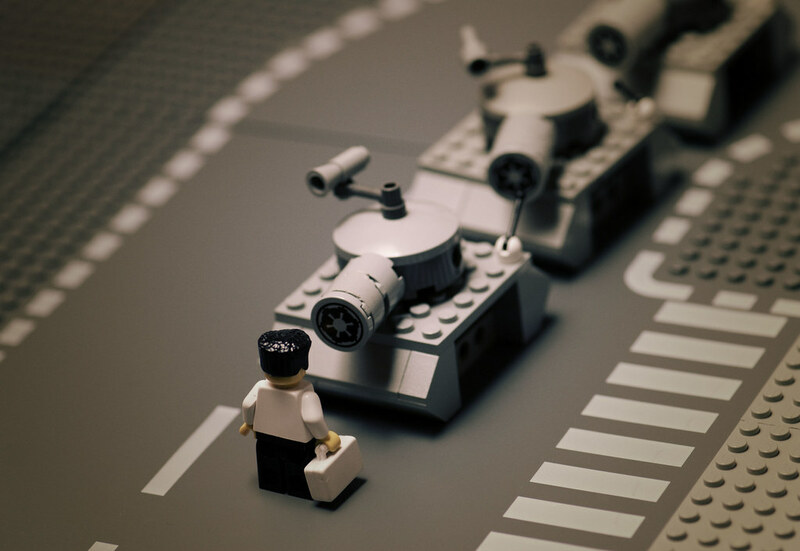 Have you got access to Lego or other toys, well Mike Stimpson has built a whole photographic practice out of it. If you like playing with food then see what English photographer Carl Warner does in the video below. So next time you’re stuck in the house at a loose end give still life a go. You’ll have some fun, increase your understanding of composition and how to use light and who knows maybe you might be so enamored with it that you become a still life maestro.